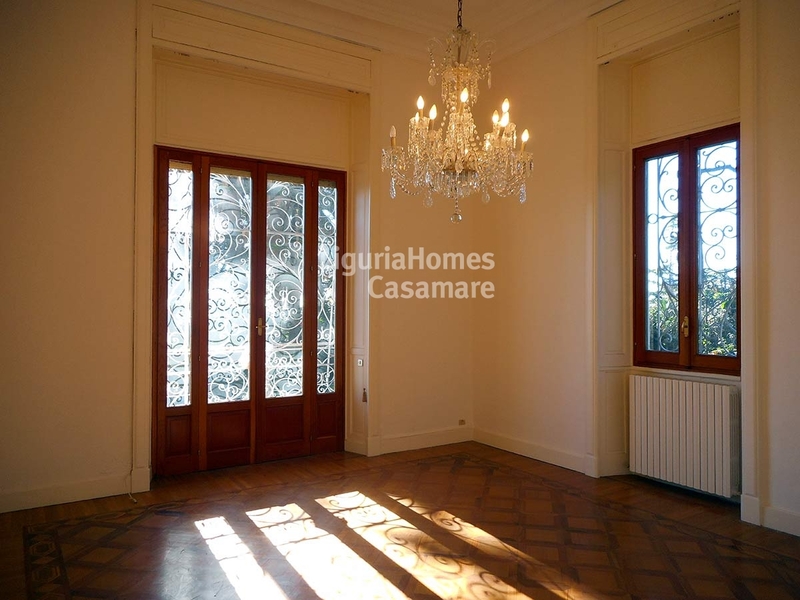 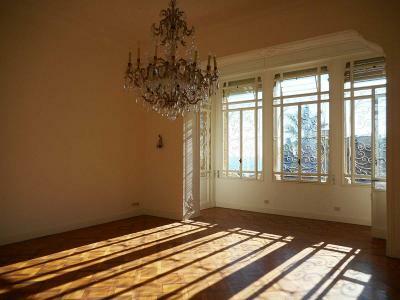 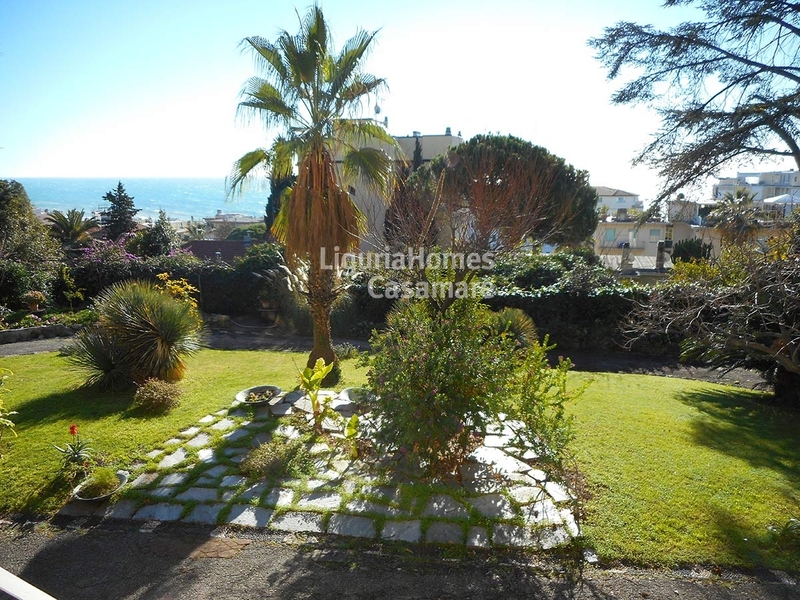 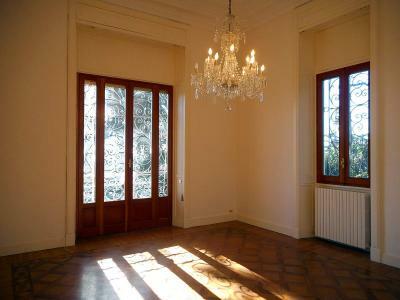 San Remo: charming Apartment for Sale into an antique Villa. 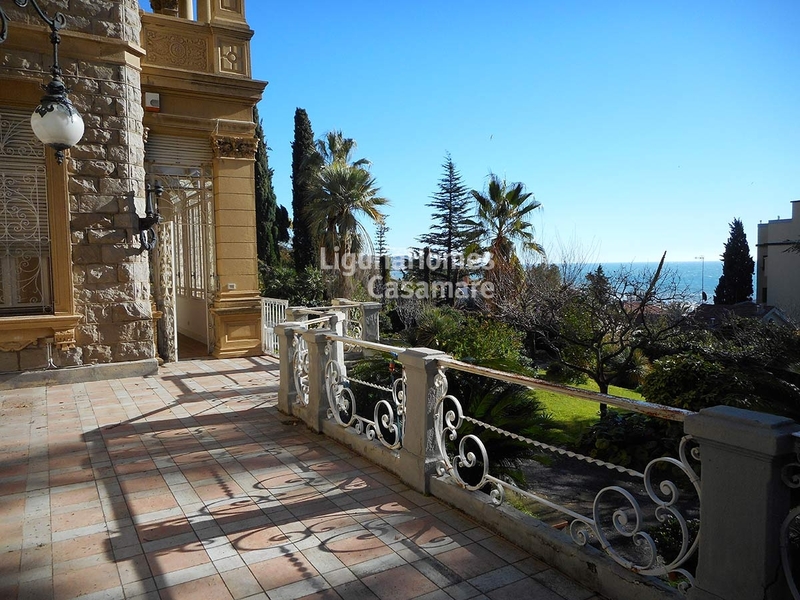 Elegant Apartment in a landmark 19th century Villa in the heart of San Remo, once home to Empress Maria Aleksandrovna, wife of the Zar Alexander II, and the Romanov family. 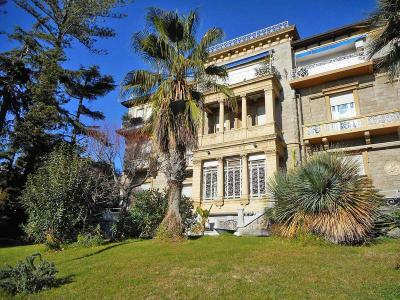 "Villa Perla" was built in 1874 and it is situated in the most luxurious area of San Remo, a short walk to the walking and cycling promenade, Casino, Russian Church and town centre. - Piano Nobile (approx 230 m2): entrance hall, splendid living room with high ceilings and sea view, three large bedrooms, two bathroom, terrace, and office room in the mezzanine. - Lower Ground floor (approx 200 m2), accessible via internal stairs or via independent door from the garden: actually divided into 2 separate areas, in need of renovation. 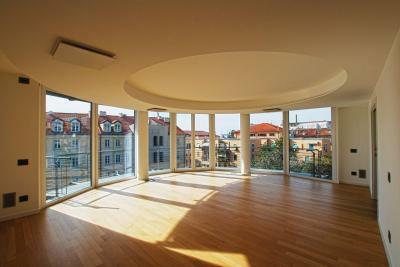 An area is for utility rooms and staff Apartment while the other area is as guests Apartment. 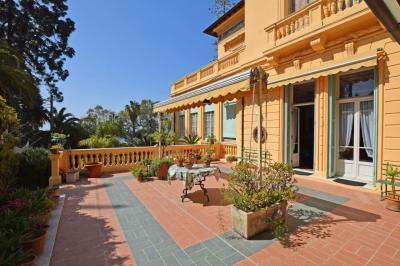 A private and covered parking for 4 cars completes this unique luxury Apartment for Sale in San Remo. An architect already made a project for a alternative use of the internal space with also the creation of a SPA area with covered swimming pool in the lower ground floor. 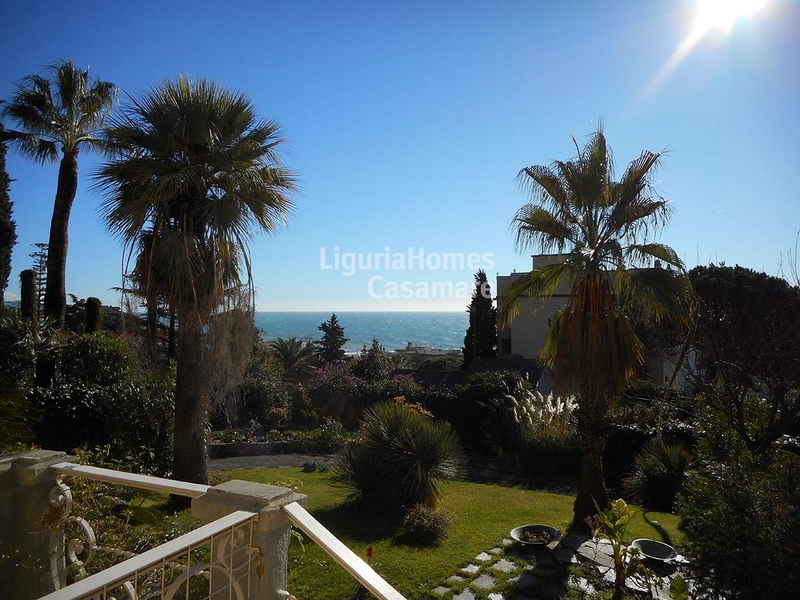 There is also the possibility to buy the neighbor land plot of about 1,200 m2 that can be the perfect location for a very private swimming pool with summer kitchen or for a private tennis court.